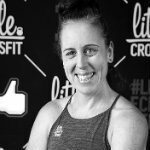 Life After the Whole Life Challenge: It's Not About the "Wagon"
As a coach, I see some pretty cool stuff during sessions of the Whole Life Challenge. Not only do I witness physical transformations, but I get to be part of the deeper changes to people’s health, happiness, and quality of life — whether that’s helping others reach their goals, have light-bulb moments, face their demons, experience breakthroughs, or learn something new about themselves. That’s what I love about the Challenge: it provides the structure to change your life on a profound level. I’ve noticed, though, that some people struggle after the Whole Life Challenge. This is particularly true if they’re new to the Challenge or haven’t yet integrated the 7 Daily Habits into everyday life (both of which are normal experiences shared by many people). The main sticking point is how to transition back to “real life” once the Challenge ends. There’s uncertainty around which habits to keep, how to integrate the new learnings into regular life, and how to stay healthy without the structure of points and rules. That last point seems to be particularly tough for some — letting go of the structure. I can empathize because I know the structure of the Challenge gives a sense of security. The rules provide clarity on what to do each day, while the points track progress and create accountability. Each day, we know what’s expected of us, how to comply, and how well we scored for each habit. Over the weeks, we fall into a comfortable rhythm and routine. And we remember that real life doesn’t have a points structure and rules. Initially, we’re excited by this freedom. We plan to eat our favorite foods and savor each delicious morsel. We plan a luxurious sleep-in instead of the gym. We plan to stay up late celebrating, or maybe we ditch the big water bottle we’ve been lugging around for weeks. In other words, we look forward to our post-Challenge celebrations with gusto. We partake, we enjoy, and we (hopefully) reflect on what we achieved during the Challenge. But what happens when these celebrations are over? And with it comes choice and temptation. Without the Challenge structure, we need to make our own decisions on how to eat, move, hydrate, and sleep. And, for some of us, dealing with those choices and temptations can feel hard. Again, this is normal. Humans don’t always do well with choice — we tend to go for the quickest, easiest, and most convenient option, particularly if we’re busy. This is where I see some people fall off the healthy-habit wagon. I hear them chastise themselves when they continue to slip up or they find it difficult to get back on track. Some come to me frustrated by their on-again/off-again behavior, wondering how to end the energy-sapping cycle of clambering back on the wagon each time they fall off. So, if you find yourself in this situation, what are the options? One option is to continue following the Challenge rules on our own, by tracking, logging, and scoring each day as if the Challenge were ongoing. The intent behind this decision is worthy and I’ve seen some people have a modicum of short-term success with it — but sustainability can become an issue over time. Either real life intervenes in a way that makes the daily tracking untenable, or enjoyment of life becomes restricted and leads to an unhealthy relationship with perfectionism. As someone who has fallen off more wagons over the years than I care to admit, I know how futile the all-or-nothing approach can be. I also know how impractical it is to live in strict conformance with rules all the time — it’s not viable or gratifying in the long run. Which leaves us with another option: we enjoy life after the Challenge by integrating the 7 Daily Habits into our every day, in a way that feels good to us and contributes to our long-term health, happiness, and quality of life. It can be. But it requires a little bit of personal responsibility and a willingness to make it work for you. In other words, while I can’t wave a magic wand and specify exactly what you should do, I can give you some strategies for making the post-Challenge transition a bit easier (from someone who’s traveled this path before). Let’s look at five ways to set yourself up for success after the Whole Life Challenge. We know that labeling foods “good” or “bad” is rarely helpful because it attaches a level of morality to food that simply doesn’t exist. Similarly, labeling ourselves as a “failure” when we fall off the wagon isn’t particularly useful. By defining our behavior in this way, it can leave us open to guilt, self-criticism, self-judgment, and an unhealthy relationship with perfectionism. Saying we’re a “failure” implies a deep disappointment in ourselves and can reinforce the belief that we’re only worthy when we’re perfect. Instead, seek to understand why things went off-track. Find the clues and understand the contributing factors — these are gold nuggets for learning. Maybe you were feeling tired, stressed, or busy. Perhaps you were under-prepared. It could be a lack of accountability. Or, you reacted emotionally to a tumultuous day. Acknowledge what happened, learn from it, and focus on what lies ahead. Maybe you missed a workout, overindulged at dinner, skipped sleep, or forgot to drink water. In the grand scheme of things, these are small blips on the radar — they will not impact your health and fitness long-term. Results come from consistent efforts over time. The key word here is “consistent” (not “perfect”). Accept what happened, forgive yourself for the slip-up, then move forward. Life is full of birthdays, special occasions, and social events. These are wonderful opportunities to engage and connect with your friends and family while enjoying delicious food and drinks. Plan for these occasions and give yourself permission to enjoy the event while honoring your commitment to a healthy lifestyle. These events are not excuses to over-indulge — they’re opportunities to create memories and experience the richness of life. Enjoy the celebration, partake in your favorite food and drink, but make a conscious decision about whether your indulgences are aligned with your commitment to live a healthy, nourishing, and fulfilling life. It’s much easier to stick to healthy habits when we’re surrounded by people who live by the same values. Our support group helps us feel more motivated, offers advice when we need it, and holds us accountable. This might be your gym buddies, your online support crew, or your immediate family and friends. Communicate with these people. Share your struggles and wins, let them know if you need help, and ask for advice. It’s okay to be imperfect and human. Your support crew will help you sustain healthy habits for much longer than trying to do it on your own. Out of the WLC’s 7 Daily Habits, there’s likely to be one that gives you the biggest bang for your buck. It’s the one that, when prioritized, causes the other habits to fall into place more easily. For me, it’s sleep. When I prioritize my sleep, I’m more likely to move well, hydrate, eat nourishing food, stretch, and schedule some downtime. Rather than focusing too closely on the other habits post-Challenge, I know that if I keep the key habit of sleep in place, the others will naturally follow. How Will You Approach Life After the Whole Life Challenge? By embarking on the Challenge you’ve become open to the possibility of living a healthy, nourishing, and enjoyable life each day. Maybe, after doing your first Challenge, everything will click for you — you’ll know how to integrate the habits into your life in a way that works for your goals. If so, you have my deepest congratulations. But if you’re like me and some things take a little longer to stick, that’s okay, too. My greatest learnings in life have come through making mistakes, trying things out, being curious for knowledge, and seeking to understand my own behavior. Mostly, it’s about being patient and consistent. In real life, there are no magic wands or quick-fixes, but there’s plenty of time and opportunities to learn. Give yourself those gifts — they’re the first steps to a sustainable, well-rounded, and fulfilling life. Oh, and ditch the wagon.